Last night I had a dream about pumpkin wine. While I certainly wouldn't call me dreaming about wine anything abnormal, the fact that it was pumpkin wine? I hate to say this, but it clearly means I'm ready for the fall. And believe you me, I never want to rush through summer because rushing through summer basically equals winter, and winter basically equals the worst, but can we all agree that this has been the most oppressively hot Houston summer in recent years? WHOA NELLY. And is pumpkin wine a thing? PLEASE tell me it is. I think my dream stems from this hauntingly crisp, harvest-y apple cider wine I had from Chaddsford Winery in Bucks County, Pennsylvania (which is easily the most quaint, picturesque place in the continental U.S.) with my Aunt Donna several years ago. But we're in this together y'all. And since we are in this together, it would be an incredibly egregious error if I did not share with you my new favorite thing: unlimited gnocchi night at Piola. Last week (on July 29 to be exact), I met up with a few local food blogger ladies for dinner. Erika, whose beautiful blog I've been obsessed with for quite some time, organized the meetup. Other awesome attendees included Kylie, Lisa, Renee, and Julie. 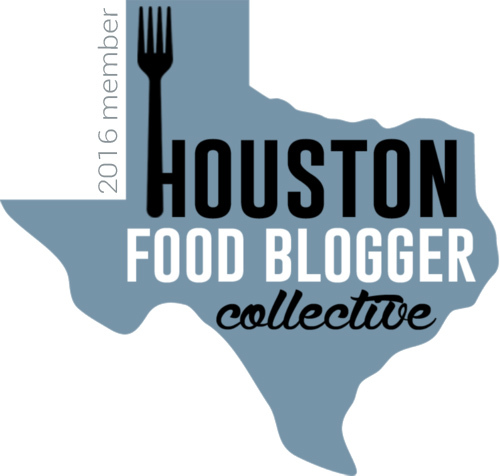 Even though I'd met the majority of them already, when I see these Houston foodie superstars I still get a little blogger starstruck (blarstruck?). Okay, a lot starstruck blarstruck. 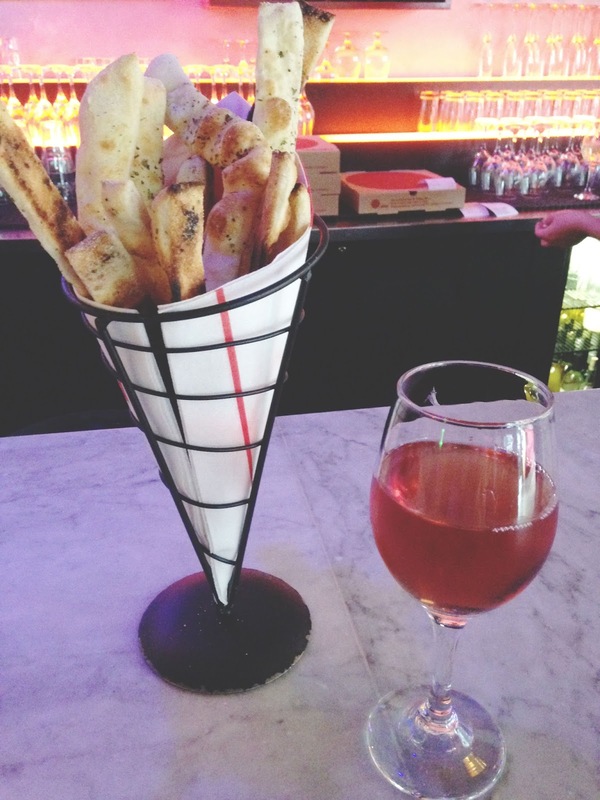 I arrived heinously early because I still can't appropriately gauge Houston traffic, so I parked myself at the bar where I enjoyed a glass of rosé and some complimentary bread sticks. The rosé was light and refreshing, and the bread sticks were a welcoming little nosh. 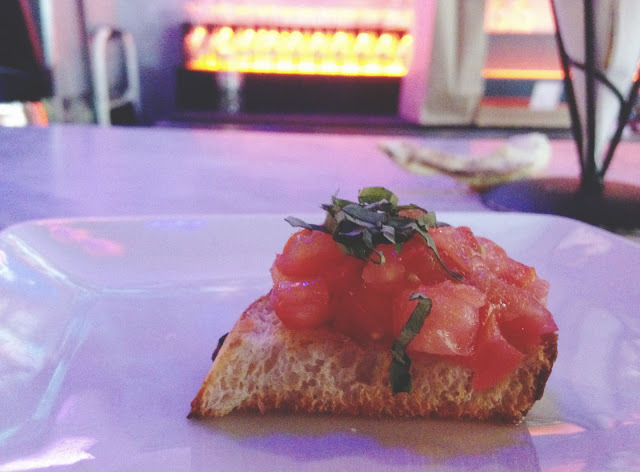 They also handed me a free, fragrent, juicy bruschetta appetizer, which I'm never gonna pass up. Wait, I SEE WHAT YOU'RE DOING HERE PIOLA. Must. save. room. for gnocchi. We were seated at a table by the entrance, and fortunately for me these super cool blogger girls were also super sweet, warm, and friendly, and they did not bat an eye at the big watermelon stain on the front of my shirt, or the still-healing, flaky tattoo on my wrist. If any of you have a seamless transition from "flaky tattoo" to food, please let me know. I'll credit you accordingly. 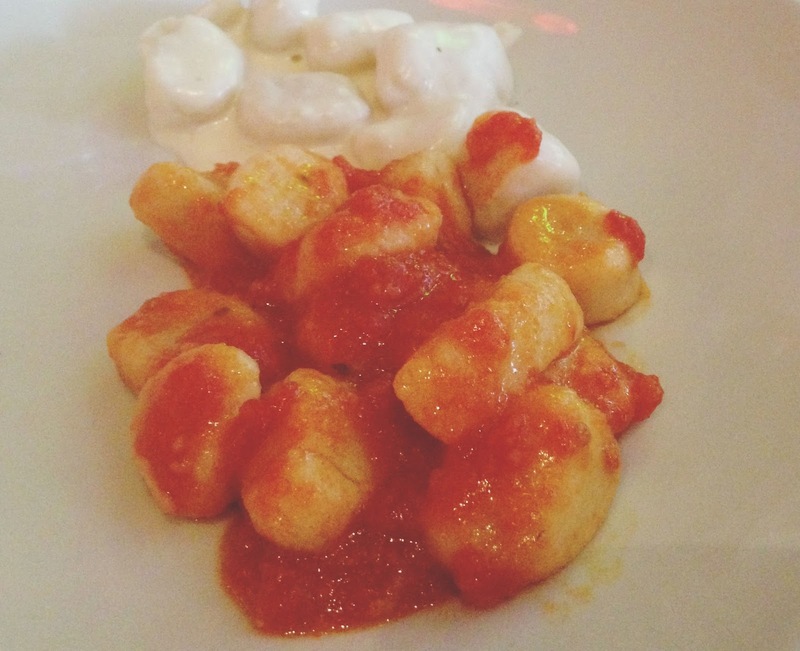 Apparently it is an Italian tradition to eat gnocchi on the 29th of the month for good luck. 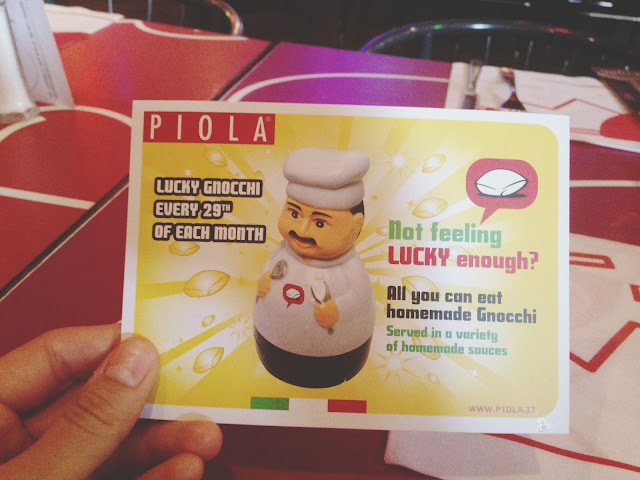 So on the 29th of every month, Piola has unlimited gnocchi night, where you can eat as much gnocchi as you want (in 10 different sauces!) for around $15. If that doesn't get you through the summer, I don't know what will! To make it healthy (let me dream. ), I ordered the Aristotele side salad to start. Mixed greens are combined with goat cheese, cherry tomatoes, black pitted olives, cucumbers, and a red wine vinaigrette. 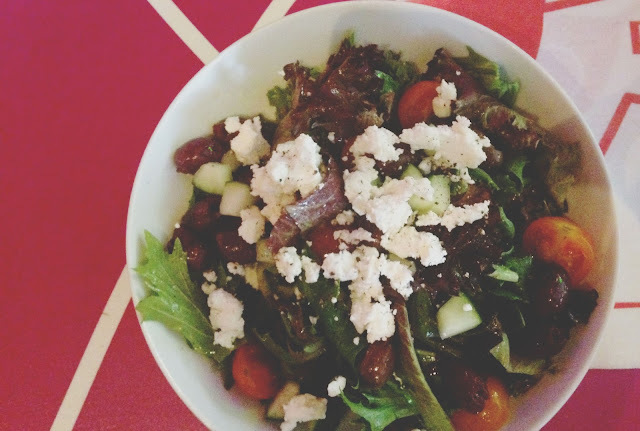 It was light and enjoyable, though nothing cutting-edge or earth-shattering in the world of salads. But definitely a nice starter salad. Okay, now onto the reason we are all here. I believe in total I tried 5 of the 10 different gnocchis that made their way to our table, due to eating only the vegetarian offerings. The four cheese gnocchi (pictured above on top) was creamy, naughty, and indulgent. This was my second favorite of the five. Then I had 2 or 3 different tomato-based gnocchis (one basil tomato, one garlic tomato, and possibly one other that was just a regular marinara), which were fine, but not as exciting. My favorite of the five though, was the pesto gnocchi. The herby pesto was smooth, incredibly garlicky, and wonderful. If I go back to gnocchi night (please, if?) 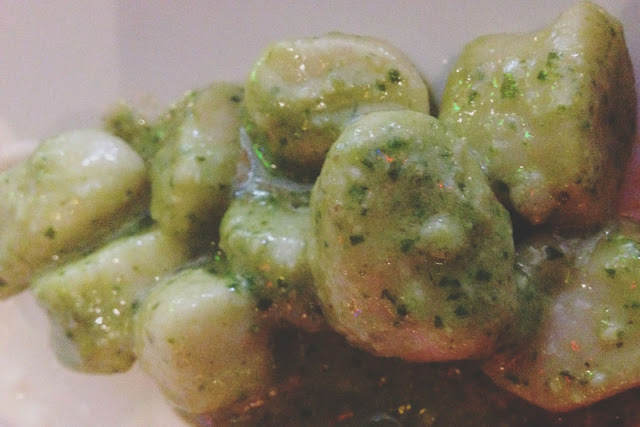 I may just have the pesto gnocchi all night, I loved it so much! The gnocchi dumplings (dumplings? dough-balls? help.) in all of the dishes were soft and doughy, but not at all undercooked. While the gnocchi wasn't the best gnocchi in the world, for a $15 unlimited supply, and for gnocchi that's being made for the masses, they were pretty darn good. The entire meal was lovely. 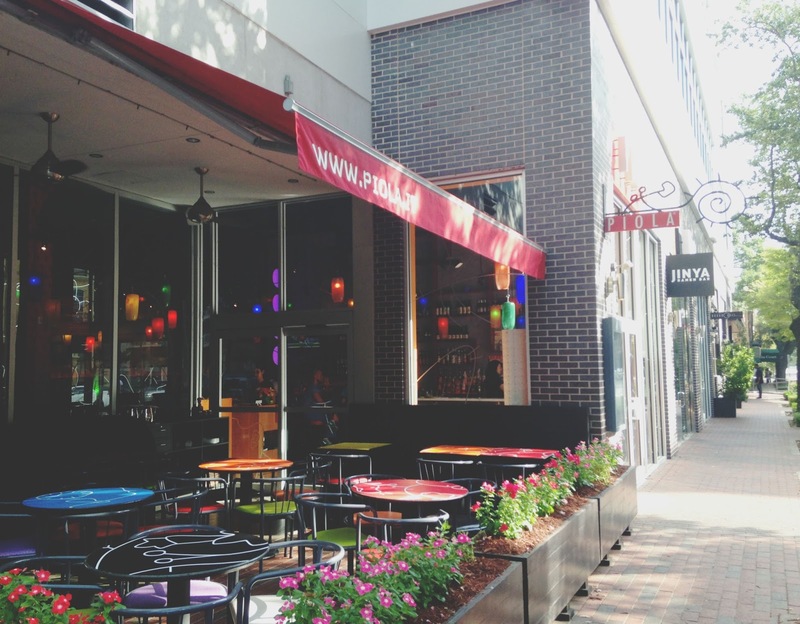 From the welcoming service, to the delicious and affordable food, to the fun, vibrant environment, Piola has a great thing going. It made dining with the friendly, intelligent, interesting, and inspiring group of women I was with all the more enjoyable! *phew* glad you didn't notice! ;) And thank you so much again for organizing - I had so much fun! Yeah, that Italian castle is unreal. I was there 10 years ago during part of a summer in college, and I still dream about it! This is the first post of yours I have had the pleasure of reading and you went straight to my heart (stomach?). 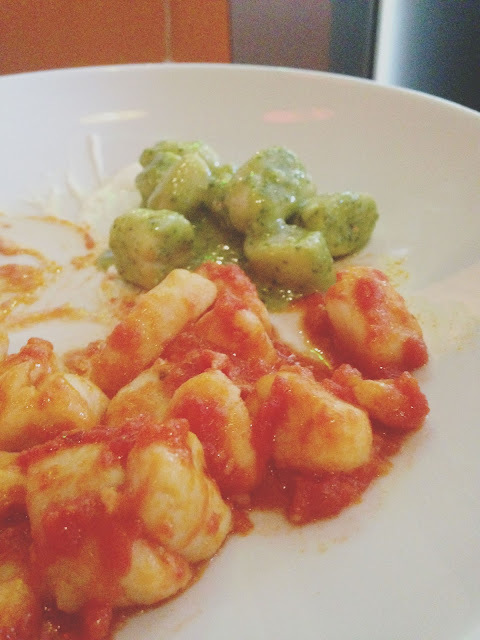 I looooove gnocchi and have never heard of this restaurant (say, what?) and definitely never heard of Unlimited Gnocchi Night (for shame!). 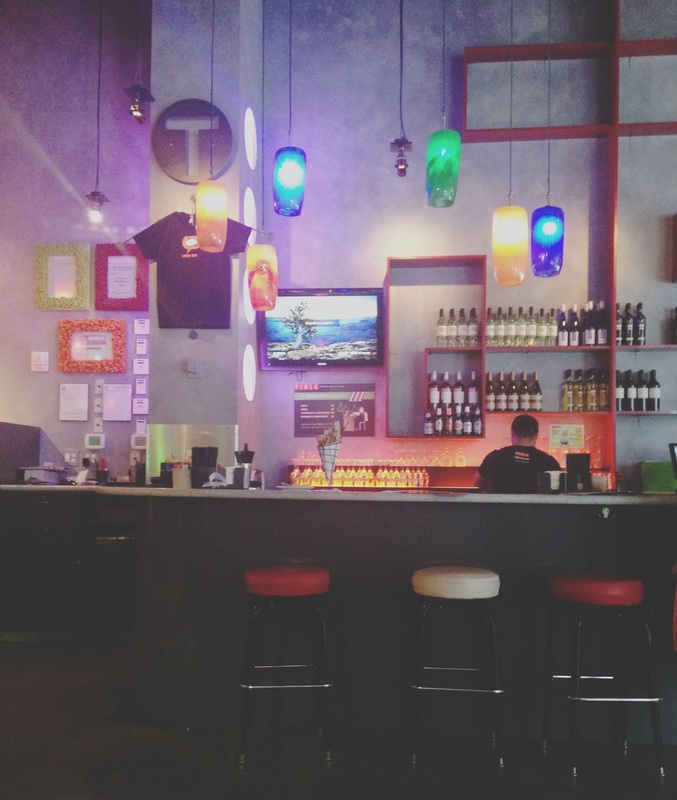 Thanks for sharing and if you get the hankering for a repeat visit please tell me! I'm in!